Basic derivatives contracts are forward contracts, futures contracts, call options and put options. These are contracts between two parties with a payoff in a future date and the payoff is tied to the price of an underlying asset (hence the name derivative). Here are some natural questions. What are derivatives? How do they work? What do they cost? Why do investors or firms want to enter into such a contract? If you enter into such a contract, what are the obligations and benefits? This post is a brief introduction of forward contracts. In this post, we explain the basic features of forward contracts. In the next post, we discuss the prices of forward contracts. The underlying asset of a forward contract is the financial asset or commodity the seller must deliver to the buyer. A forward contract will specify the quantity and the type of assets to be transacted. The assets that are transacted in the future can be financial assets (e.g. stock, currencies, and interest rates) or commodities (e.g. gold, corn and natural gas). The expiration date is the time at which the contract is settled. The forward price is the price (per unit of the asset) that is agreed upon today by both parties of the contract to transact in the future (i.e. on the expiration date). On the expiration date, the buyer pays the seller the forward price and the seller delivers the asset to the buyer. The last bullet point refers to the obligation that the buyer must buy and the seller must sell on the date of settlement even if the price movement means a loss to one of the parties in the contract. The party who commits to buying the asset on the delivery date is said to take a long position (or entering into a long forward). The party who commits to selling the asset on the delivery date is said to take a short position (or entering into a short forward). The party in the long position is said to “buy” a contract and the party in the short position is said to “sell” a contract. Generally the long position is the party that makes money when the price of the asset goes up and the short position is the party that makes money when the price goes down. Note that the long position agrees to buy the asset at pre-agreed upon fixed price. 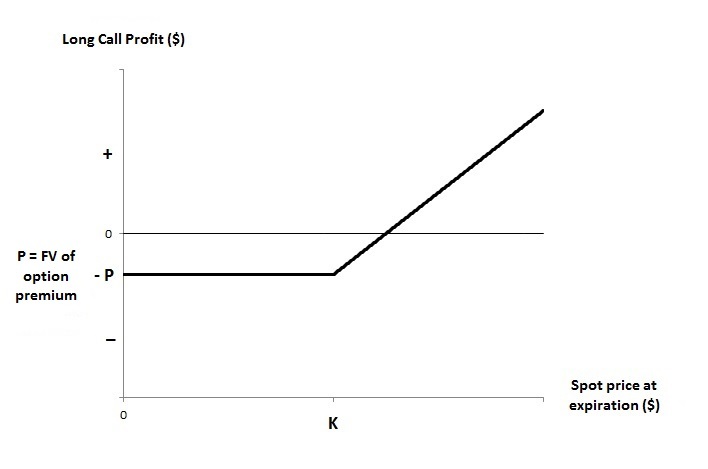 So the long position profits when prices rise. The payoff to a forward contract is the value of the position at expiration. The following shows the payoff. For a forward contract, the settlement can take place on a delivery basis (i.e. there is a physical transfer of the asset) or on a cash basis. 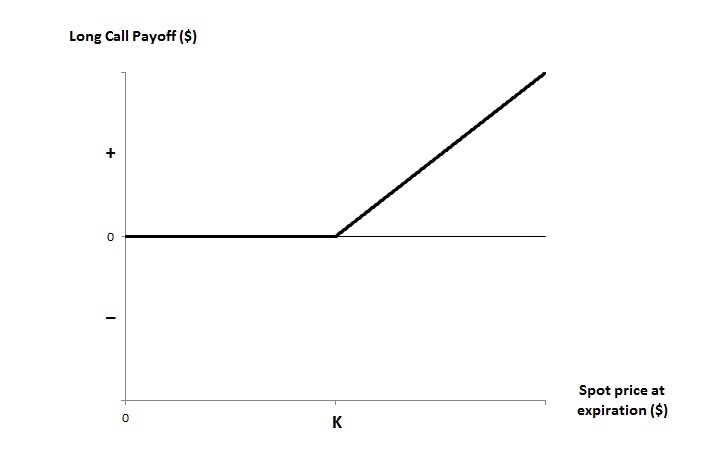 If settlement is on a cash basis, the long position will receive the payoff to the long position (which can be positive or negative) and the short position will receive the payoff to the short position (which could be positive or negative). For an illustration of how this works, see the example discussed below. Futures contracts are similar to forward contracts in that a futures contract is also a contract between two parties to buy or sell an asset at a specified price on a future date and that both parties have the obligation to do so on the delivery date. But there are important institutional and pricing differences. For examples, futures contracts are exchange traded while forward contracts are traded over the counter. Thus futures contracts tend to be standardized and forward contracts are customized contracts. The futures exchange standardizes the types of contracts that may be traded. For example, it establishes contract size, the acceptable grade of commodity (if it is a commodity exchange), contract delivery dates and so on. On the other hand, forward contracts can be tailored to meet the unique or unusual requirements of the party seeking the contract. Futures contracts also have the advantage of liquidity and a reduced level of credit risk. Standardization means that many traders will concentrate on a small set of contracts. Thus trading in futures contracts can be highly liquid. Many futures contracts can be liquidated through a broker rather than directly with the counter party of the contract. Another difference between futures and forwards is that the exchange requires the parties in a futures contract to settle any gains or losses on the contract on a daily basis (this is called the marking to market). The daily marking to market required by the exchange amounts to a guarantee of performance of the parties in a contract. Thus costly credit checks on the counter party of a futures contract are not necessary. On the other hand, for a forward contract, no money changes hand until the delivery date. So credit risk, the risk that the other trader will not perform, can be a much greater concern for traders entering into forward contracts. To see how forward contracts work and how they might be used to hedge risk, let’s look at an example. Suppose that a corn producer has 2 million bushels of corn to sell in 6 months. The corn producer is concerned about a substantial price decline of corn. A food company that uses corn has the opposite risk in that its profit will suffer due to a substantial price increase in corn. Both parties can offset this risk if they enter into a forward contract that obligates the corn producer to sell 2 million of bushels of corn in 6 months to the corn user at the forward price of $3.85 per bushel with settlement on a cash basis. 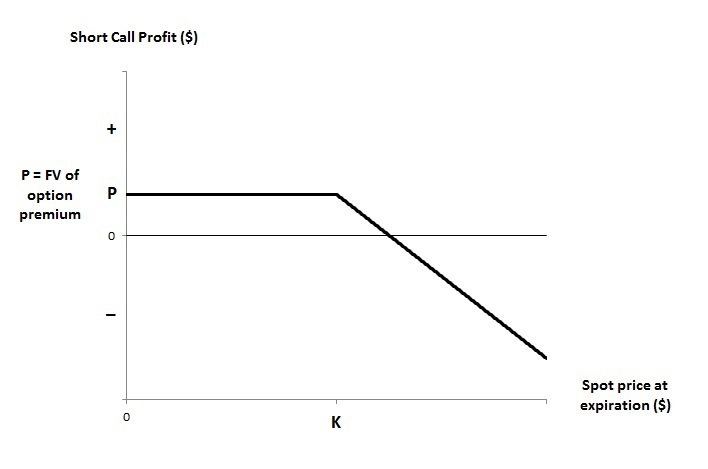 The corn producer is the short position in this contract and the food company (the corn user) is the long position. The corn producer is obligated to sell 2 million of bushels of corn to the corn user at the agreed upon price of $3.85 per bushel. The corn user is obligated to buy the corn from the producer at $3.85 per bushel. There is essentially no change in corn prices. The spot price is lower than the forward price, say $3.35 per bushel. The spot price is higher than the forward price, say $4.35 per bushel. In the first case, there is no exchange of cash between the corner producer and the financial institution. If there is only a small difference between the spot price and the forward price, there is essentially no risk to either party. 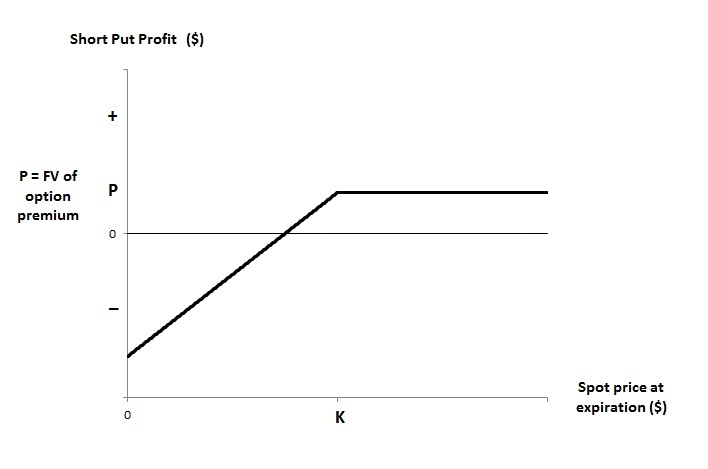 In the second case, the payoff per bushel to the short position is $3.85 – $3.35 = $0.50. Thus the corn user owes the corn producer $1,000,000. Thus the corn producer is protected from a price decline. In the third case, the payoff per bushel to the short position is $3.85 – $4.35 = -$0.50. Thus the corn producer owes the corn user $1,000,000. Here, the corner user is protected from a price upswing. 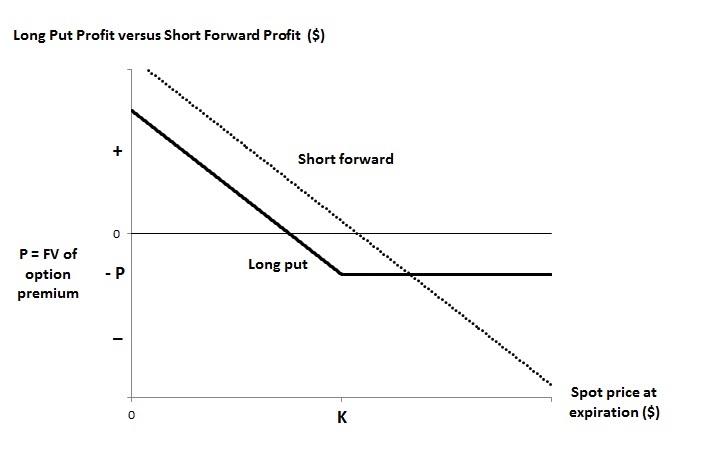 The above example shows that forward contracts (or futures contracts) can be used to hedge price risk. 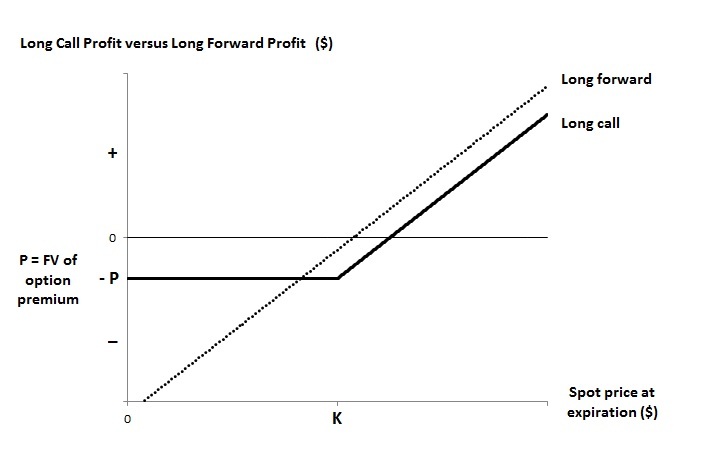 A previous post gives an example of how forward contracts can be used to hedge exchange rate risk for exporter (or investor investing abroad). These two examples illustrate one useful feature of forward contracts. Corporations use forward contracts is to offset their risk exposures and limit themselves from any fluctuations in price. When a company knows that it will have a need to purchase an asset or commodity in the future, it can take a long position in a contract to hedge its position. When a company knows that it will have a need to sell an asset or commodity in the future, it can take a long position in a contract to hedge its position. Forward contracts can be very useful in limiting the price risk exposure faced by a corporation. The main advantage of using forward contracts is that it removes the uncertainty about the future price of an asset or commodity, thus eliminating the uncertainty in profit due to unpredictable fluctuation in prices. In the next post, we discuss the pricing of forward contracts. 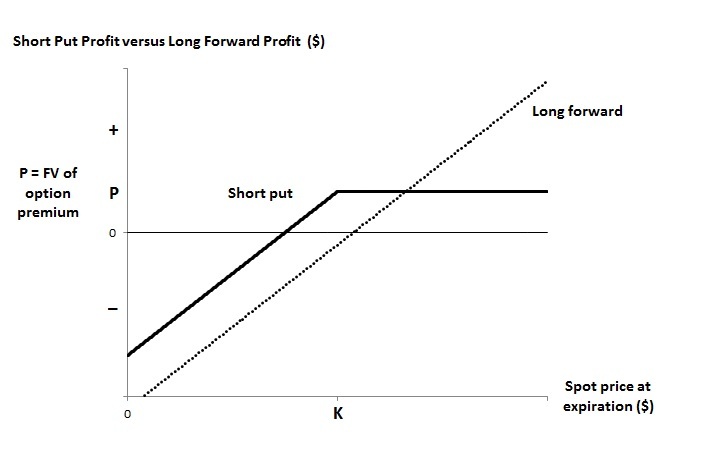 In this post, we use an example to illustrate how a forward contract can be used to hedge exchange rate risk. Consider the following two examples. An exporter in the United States sells high tech manufacturing equipment to a Canadian importer. The total amount of goods sold is 11 million Canadian dollars (CAD), to be received by the exporter one year from now. An investor in the United States invests in one-year risk-free Canadian government bills that pay 10% annually. The US investor starts with US $8 million and exchanges the amount for C $10 million at the exchange indicated below. At the end of the year, the investor expects to receive C $11 million. In both examples, we assume that the current US-Canada exchange rate today is US $0.80 per C $1 (Canadian dollar, CAD). We use the two examples to illustrate the inherent risk when selling or investing abroad. Assume that the 11 million Canadian dollars received for the manufacturing equipment represent good profit. When the exchange rates move in the wrong way, the exporter may end up with a loss when the Canadian dollars are converted into US dollars. On the other hand, the risk-free government bills are risk-free investment for Canadian investors. But for US investors that have to convert the proceeds back into US dollars, the end result may be a loss. In this post, we use these two examples to illustrate the potential danger of exchange rate risk and discuss some of the ways to mitigate this risk. In some sense, the two examples are one example. The exporter or investor will receive C $11 million in one year (the same cash flow made in the same currency and then converted back to the same domestic currency). Thus both examples are subject to the same dynamics inherent in the movement of exchange rates. 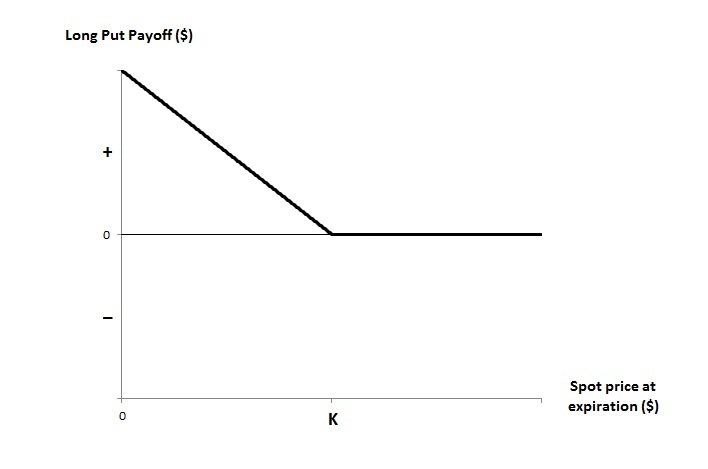 Even though both business contracts are profitable in terms of Canadian dollars, when the exchange rates move in an adverse direction, the parties in both examples could potentially experience a loss. Thus both examples can be discussed as one example. Let’s look at how movements of exchange rates can impact the above example positively or negatively. As mentioned at the beginning, the initial exchange rate is US $0.80 per C $1. Suppose that the exchange rate is US $0.9 = C $1 a year later. This means that the Canadian dollar has gained in value against the US dollar (1 Canadian dollar can now buy more US dollars). The Canadian fund to be received is now worth more in US dollars. The 11 million Canadian dollars are now $9.9 million US dollars. This amount is US $1.1 million over the US $8 million the investor spent in buying the Canadian bills. So this is a good outcome for the exporter or investor. On the other hand, suppose that the exchange rate is US $0.7 = C $1 one year later. This means that the US dollar has gained in value against the Canadian dollar (1 Canadian dollar now buys less US dollars). So the Canadian fund to be received is worth less in US dollars. The 11 million Canadian dollars would only be worth US $7.7 million. This amount is US $1.1 million less than the US $8 million the investor spent in buying the Canadian bills. For the investor in Canadian government bills, this represents a negative rate of return (investing US $8 million and receiving US $7.7 million a year later). So fluctuation in exchange rates has real financial consequences for anyone who is involved in the import/export business or investing abroad. The example in this post highlights the risk when the receivables in the investment are in a foreign currency. Any exporter who received foreign funds for the goods that they sell will fear the appreciation of their domestic currency, equivalently the depreciation of the foreign currency. The same can be said for any investor who has to convert the foreign investment proceeds into their domestic currency. 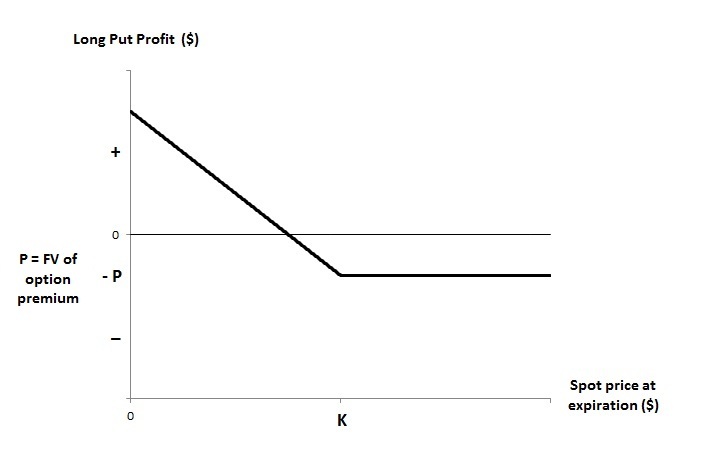 The example illustrates that a business that exports or imports goods and services and investors who invest internationally need to consider how to protect against adverse movements in exchange rates. Even a small variation in the exchange rate can result in a big financial loss. 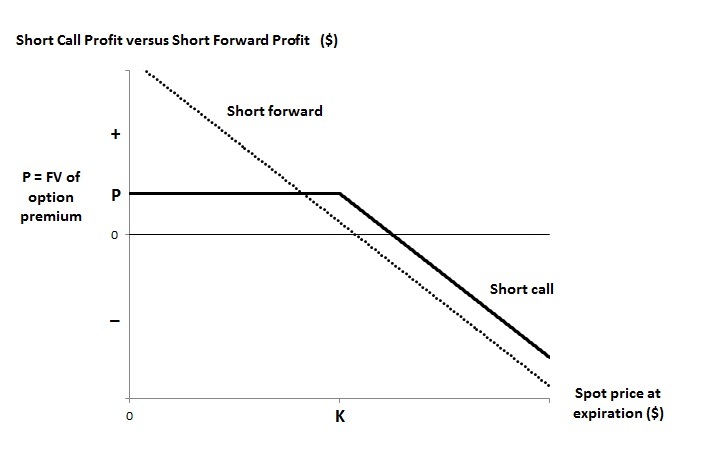 One way to hedge the exchange rate risk is to use a forward contract. A foreign currency forward contract is a contract to buy or sell a specific amount of a currency at a fixed exchange rate at a specific time in the future. If the exporter/investor worries that the Canadian dollar will depreciate in one year so that the Canadian dollars received will be worth less, they can hedge this risk by entering into a forward contract. Here’s how. At the time the export contract or investment contract is made, the exporter or investor would agree to sell 11 million Canadian dollars for US dollars at a fixed exchange rate (this is called the forward exchange rate) one year later. The counter party to the exporter/investor, usually a bank, will agree to buy 11 million Canadian dollars at the terms specified in the contract. Suppose that the forward exchange rate is US $0.77 per Canadian dollar. When the exporter or investor receives the 11 million Canadian dollars a year later, he/she can exchange the Canadian dollars for 0.77 x 11 = 8.47 million US dollars. Entering into this forward contract has the effect of locking in a favorable exchange rate one year ahead of time. If one year later, the exchange rate is US $0.70 per C $1 (the Canadian dollar has weakened since one Canadian dollar can buy fewer US dollars), then the exporter/investor will only get US $7.7 million if there is no forward contract. With the forward contract, the amount of US dollars the exporter/investor will receive will still be 8.47 million US dollars. This would be a happy outcome for the exporter/investor. If the exchange swings the other way and if there is no forward contract, it would be a profitable scenario. However, the forward contract is legally binding. That means the exporter/investor will have to honor the forward exchange rate set at the beginning. For example, if one year later, the exchange rate is US $0.90 per C $1 (the Canadian dollar has strengthened since one Canadian dollar can buy more US dollars), the exporter/investor will not be able to realize the profit and has to honor the forward exchange rate of US $0.77 per C $1. The amount of US dollars received will still be $8.47 million. There are other ways to hedge the same risk. For example, the exporter/investor can also enter into a foreign currency futures contract or buy a foreign currency option. Another possibility is to open a bank account denominated in the foreign currency that is received. In this particular example, the exporter/investor can open a bank account denominated in Canadian dollars (either in Canada or in the US). The Canadian funds can be deposited into such an account and then converted back to US dollars when the exchange rate is favorable. There are pros and cons for each option, and which method to use depends on the business needs of the exporter/investor. We would like to point out that the basic working of futures contracts is similar to forward contracts. Both futures contract and forward contract allow people to buy or sell a specific type of asset at a given price at a specific time in the future. One important difference is that futures contracts are exchange-traded and thus are standardized contracts. On the other hand, forward contracts are private agreements between two parties and can be tailored to meet the unique or unusual requirements of the party seeking the contract. There are other differences but we will not discuss them here. Our purpose here is to give a basic illustration on how to hedge the exchange rate risk. What happens if the export proceeds are made in the domestic currency? In the exporter example discussed here, suppose that the business agreement is for the exporter to receive the export proceeds in US dollars (the domestic currency of the exporter). 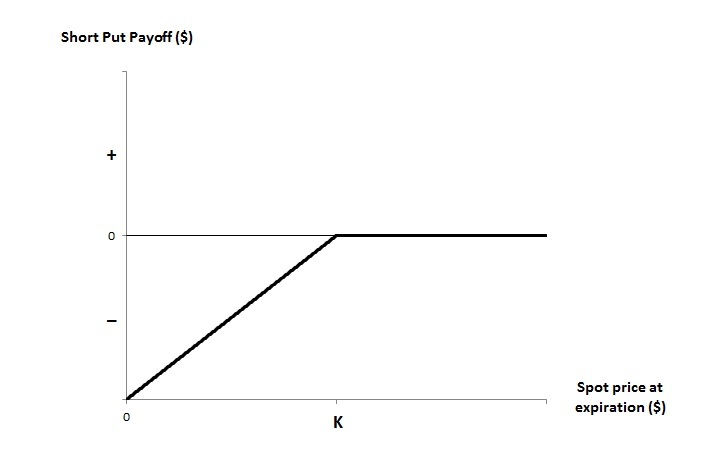 Then the exchange rate risk is transferred from the exporter to the importer. The exporter will not worry about getting less US dollars when the exchange rate moves in the wrong way, since he/she will be paid in US dollars. The importer will have to exchange Canadian dollars into US dollars to pay for the imported goods. Then it is the importer who bears the exchange rate risk and finds ways to hedge the risk. Let’s say in the above example, the exchange rate profile is switched. The total amount of goods is worth CAD $11 million, which is worth US $8.8 million based on the exchange rate at the time the business contract is made (US $0.80 per CAD). Let’s say the importer will have to pay US $8.8 million one year after the business contract is made. The importer will fear that the US dollar will get stronger, in which case, he/she will have to come up with more Canadian dollars to buy the same amount of US dollars. To hedge this risk, the importer can, at the time the business deal is made, enter into a foreign currency forward contract to buy US $8 million at a fixed exchange rate one year later. The hedging in the example discussed above will completely eliminate the exchange rate risk for the exporter/importer or investor. Such perfect hedging may not be possible in all circumstances. In the above example, we know the exact amount of foreign currency to be received or paid. We are also certain of the timing of the payments. We also have the certainty of the payments – the investment is in risk-free bonds for example. If the investment is not in risk-free bonds but is instead in risky Canadian equity, we would know neither the ultimate values in Canadian dollars of the Canadian equity nor how many Canadian dollars to sell forward one year later. In the exporter/importer example above, we assume that there is no credit risk – that is, payments will always be made at the appointed time. If that is not the case, the hedging tool of the forward contract will not be effective. The risk-free interest rate of 10% in the Canadian government bills in the above example is probably not a realistic rate. Currently both US and Canada are low interest rate environments. Both countries are well functioning economies and the exchange rate movements between US and Canada are typically not volatile. 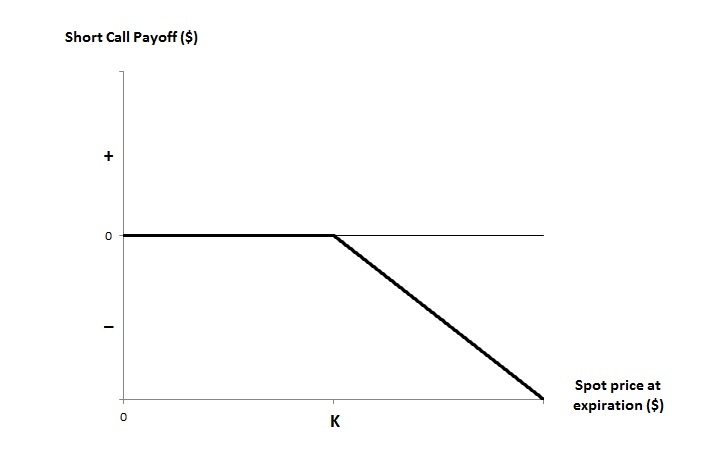 So the example here is only meant to serve the purpose of illustrating the hedging of exchange rate risk. The next post gives an introduction to forward contracts.